enduraHEALTH takes Physiotherapy services in the Calgary area to a whole new level with our unique one-on-one approach. Physiotherapy is anchored in movement sciences and aims to enhance or restore function of multiple body systems. The profession is committed to health, lifestyle and quality of life. When should someone see a Physio? Why did you want to become a Physio? What to expect in a Physiotherapy session in our Calgary clinic? ​At enduraHEALTH we pride ourselves on providing the highest level of patient care. What kind of injuries can Physiotherapy help? 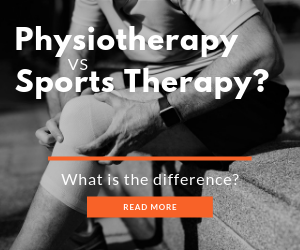 Frequency of treatment is very dependent on the individual and the severity of the injury as well as, how much time has lapsed between the time of injury and your initial assessment. The sooner you get in to see us the better! Rehabilitating from an injury is also very dependent on YOU. You need to be proactive in your own health and know that your injury is only going to get better if YOU want to put in the effort to fix it. Yes, there will be homework! Is Physiotherapy covered by my insurance? Yes most insurance companies cover Physiotherapy but please check with your provider. ​Yes, we are set up for direct billing. Any changes or cancelling of your appointment must be done within 24hours of your appointment or there will be a charge. Any missed appointments will be charged.